Strawberries have been seen as symbols of purity and longevity for centuries. Strawberries are in the same family as the rose flower (Rosaceae). 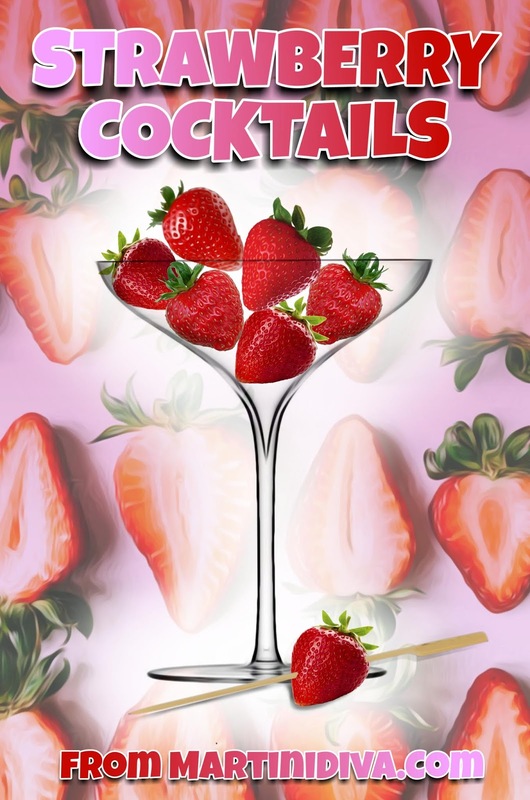 It's said that Madame Tallien, a French noblewoman at the time of Napoleon, used to bathe regularly in strawberry juice, using 22 pounds per basin! In Belgium there's a museum dedicated entirely to strawberries, The Musee De La Fraise. Strawberries have excellent health benefits and are full of antioxidants. 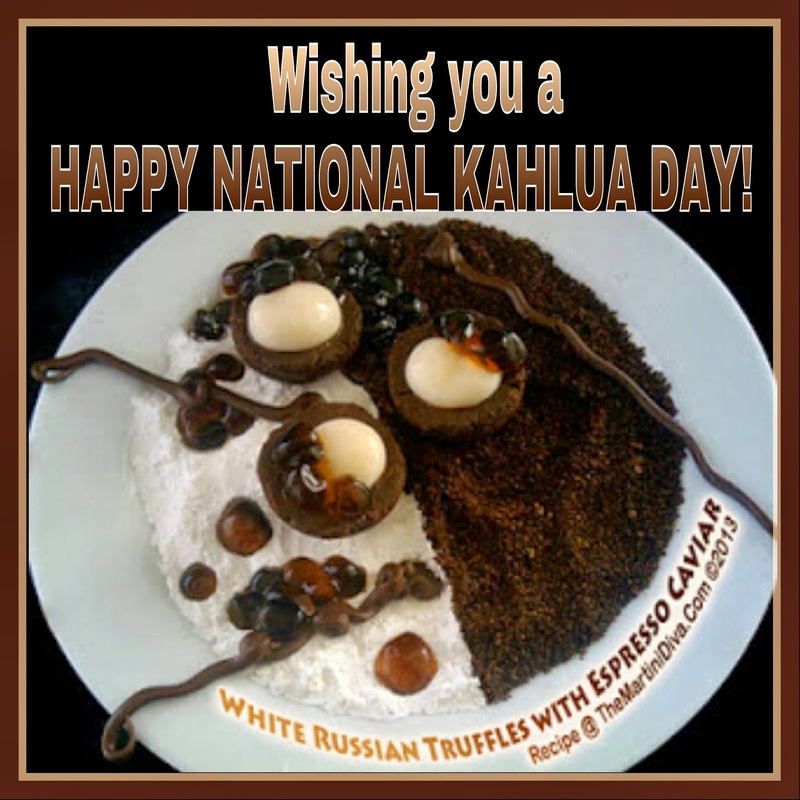 IT'S NATIONAL KAHLUA DAY with Caviar & Truffles! This takes a typical, boring White Russian Cocktail (Kahlua, Vodka & Cream) and steps it up into haute cuisine. Heck, it steps it up into a piece of art on a plate! 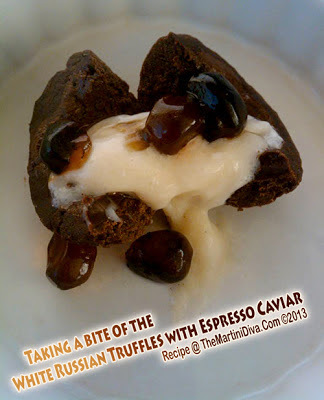 Imagine a deep, dark chocolate Kahlua Truffle stuffed with a Whipped Cream Egg that oozes out sweetness when you bite into it, balanced by Espresso Caviar that bursts a bit of strong coffee bitterness onto your tongue for balance! All plated up like a piece of abstract art for some visual culture to boot! I took a little molecular mixology and fed my inner chocoholic with this one! or should I say White Russian Truffle Espresso Day?